Hi! It’s great to be here on your blog, thank you for having me Sally. Let me introduce myself, I’m Fiona also known as fizzi~jayne, I live with my hubby in a pretty village in Hertfordshire. 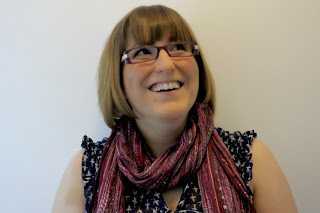 I am a crafter, blogger, co-host of #CraftBlogClub and I'm also the designer, and owner of a creative small business called fizzi~jayne makes…. 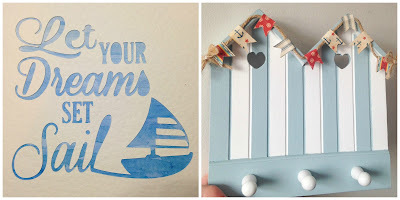 fizzi~jayne makesis a craft and handmade brand selling greeting cards and home décor. Everything is designed and made by me. My inspiration comes from my love of the beach, uplifting quotes, pretty fonts and yummy food. I also have an obsessionwith buttons and I get very excited about Christmas! I write a blog which is a place to share my experiences of running a creative, small business along with demonstrating my favourite craft techniques and to share with you what goes on in fizzi~jayne's world! You did a number of markets and craft fairs last year. How did you find them? I found markets a very steep learning curve, what would be your one top tip for surviving your first market/craft fair? It’s difficult to choose just one top tip so I have a blog post with lots of tips to help you prepare and survive a craft fair. 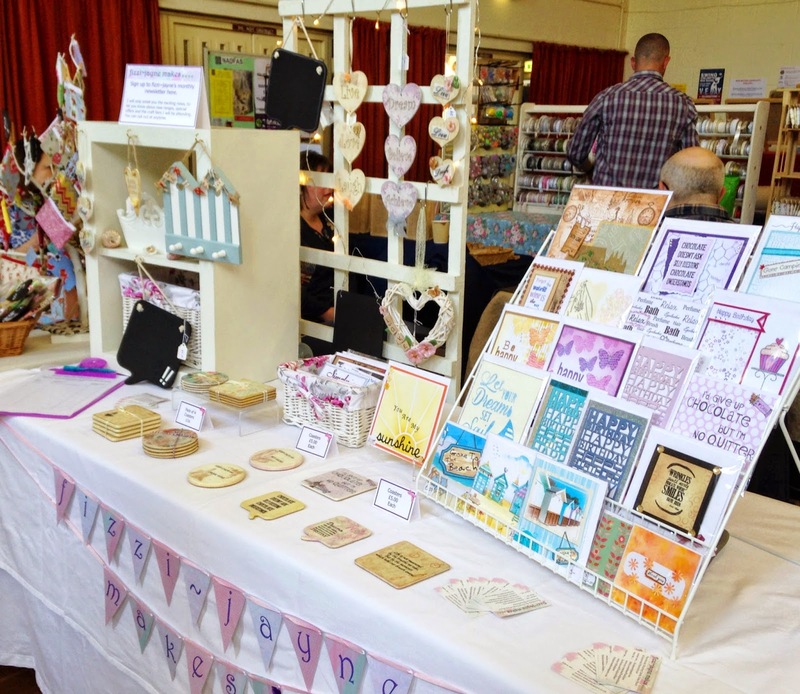 If you have been thinking about attending a craft fair as a stall holder my tip is to just do it! You don’t know what success you could have unless you try. I have spoken to a few crafters who want to sell at fairs but have concerns and doubts. Last year I did a variety of events, some were a success and some I didn't even cover the cost of my stall, but I learnt from all of them. By trying lots of different markets I have found out which products sell well and which craft fairs are the ones for me. and let people know who you are, meet customers, test new products and meet other stall holders. Most of all enjoy them! A well organised event should be fun. The day can’t start properly until I have coffee! Whilst having my morning coffee I will check emails, schedule social media posts and respond to any comments on my blog or social sites. I love reading comments and getting to know my customers and followers.If I've planned to do a run I’ll do that in the morning, otherwise I’ll talk myself out of it during the day. me in my craft den (our spare room) with my music on. My priority is making and packing up orders for my lovely customers, then I will make and develop new products. If I have any orders to post that day I’ll pop to the post office in the afternoon. It gives me some fresh air and I can pop to the coffee shop next door, yes more coffee! At the end of the day I will respond to the emails I've received as well as any comments made on my social media sites and blog. I tend to work on my blog and do any admin in the evenings and weekends. I have been known to work quite late so I don’t stick to a traditional 9-5. The advantage of working from home is I can work the hours when I am at my most productive. crafters/small business owners at events or for a cuppa and a chat. What is your favourite craft and how did you learn it? I love many crafts and my Mum taught me to sew and knit as a child but my favourite has to be Papercraft. 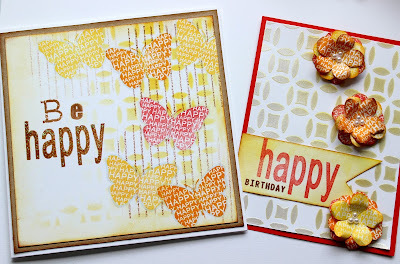 My favourite technique is stamping, I'm a stamping addict! When I came across stamps it catapulted me into the world of papercraft. I can draw but I don’t enjoy it as much as colouring so stamping allows me to get on with the fun bit. I love giving a 2D image dimension and texture to make it look 3D. 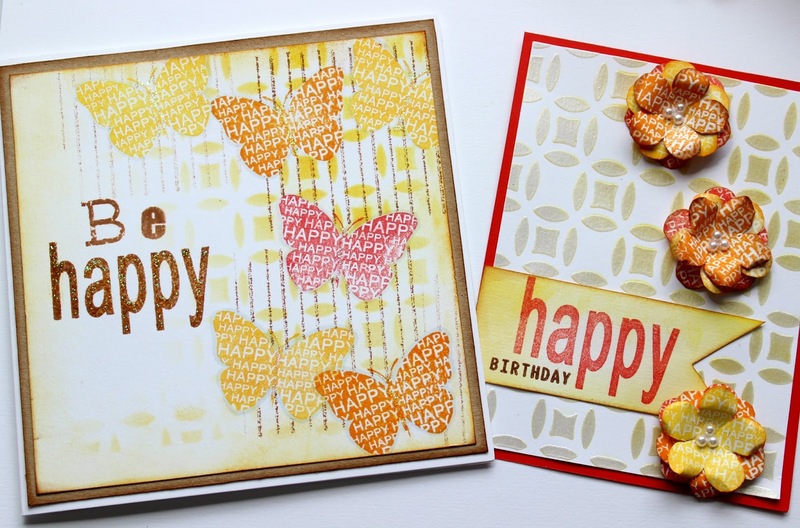 Stamping also allows me to create my own backgrounds, all I need is white card, ink, some stamps and I’m happy! I don't just use stamping techniques in papercraft, I use the same skills for my range of coasters. What current crafty project(s) are you working on? personalised based on the popular designs I have sold. I am also working on a new range based on my love of the beach and the south coast which can be seen in my shop now. can find out more about this here. There is a lot going on in my craft den at the moment! Is there anything in the pipeline for fizzi~jayne makes? and my favourite, time of year. You can also find me in all these places…. Thank you Sally for inviting me to spend five minutes with your readers, I hope you have enjoyed it! "Look Daddy, it's a pretty tent!"